From the art galleries of Berlin to the fabled stages of London’s West End Theatres! 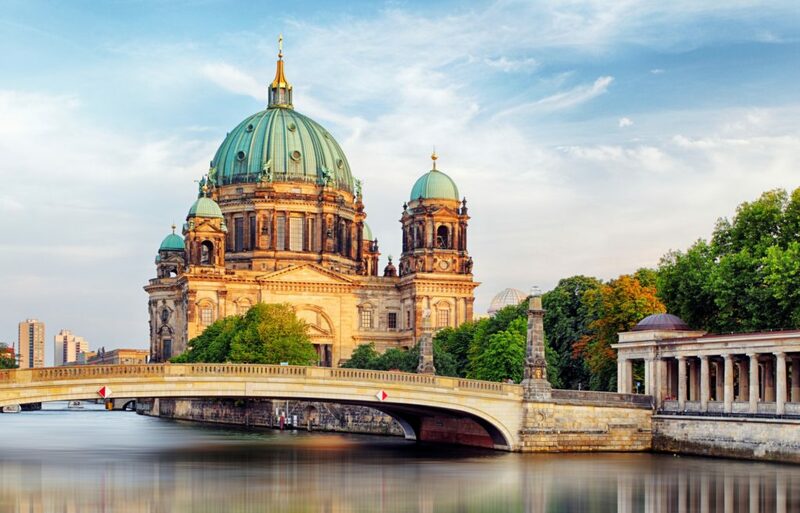 On this tour of Europe, students will gain a deeper understanding and appreciation of art and history as they explore iconic museums and attractions across Berlin. Afterwards they’ll journey to London to immerse themselves in their crafts as they participate in a range of workshops across music, drama, and visual arts. There’s also time to explore the sights on guided tours and enjoy a few theatre performances! Berlin history Visit the former Sachsenhausen Concentration camp, one of the most notorious death camps of the Nazi regime, with more than 65,000 prisoners including 13,000 women. A total of 105,000 Jews died in this camp and today it is a museum and memorial park to commemorate this horrific period. Berlinische Galerie Museum of Modern Art Visit the Berlinische Galerie Museum of Modern Art, which is dedicated to modern art, photography and architecture. Participate in a workshop. Wander Today is free for teacher-supervised sightseeing, perhaps witness how 21st-century Berlin is shaping at Potsdamer Platz or visit the iconic TV Tower located near Alexanderplatz in former East Berlin. Full-day workshop Head to the Royal Academy of Dramatic Art and enjoy a full-day workshop. Having been founded in 1904, RADA is one of the oldest drama schools in the UK and is regarded as one of the most prestigious drama schools in the world! Thank you for your interest in our WorldStrides Europe – Drama & Arts Tour Tour! Please tell us a little more about yourself so we can get you sent to the right place.